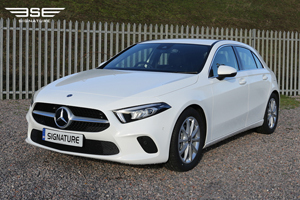 At Signature Car Hire we are committed to ensuring our rental fleet of hire cars are always up to date and fresh, so we are delighted to have added the new Mercedes A-Class which comes with an updated look and advanced technological features to keep you entertained on your rental car hire journey. Our new Mercedes A-Class hatchback adds to the success of its predecessor with new benchmarks for design, quality and technology reached. You’ll notice the badge on the nose has been re-designed but that is just the start of the re-fresh for this family hatchback rental car there’s much more to the firm’s latest family hatch. 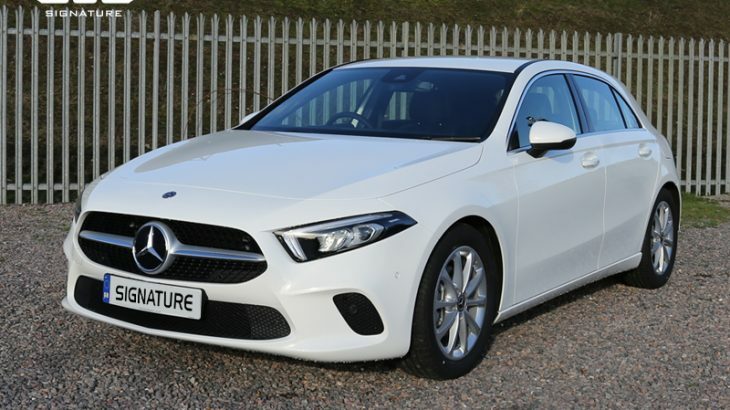 This new Mercedes A-Class hire car is a premium family hatchback car in glossy white that ticks all the boxes for a those looking for a spacious rental car that is easy to drive and user friendly for multi passengers. This new shape model has been designed with the driver in mind, great for UK rental car drivers. The A-Class is unrecognisable from previous models when you are seated behind the wheel; sit back and check out the digital dials and a wide central touchscreen which come packed full of technical features and advanced software. If you love gadgets, then look out for the Mercedes-Benz User Experience (MBUX) which features the voice-activated ‘Hey Mercedes’ system which allows you to adjust the climate control and ambient lighting or ask for the weather forecast without taking your hands off the wheel. 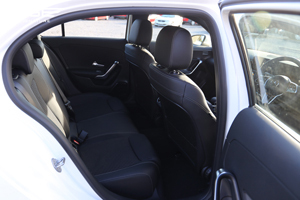 For all the details on this Mercedes A-Class A180 Sport Executive rental car, then click here or call us on 0207 118 2244 today. Rolls Royce Cullinan – Step Inside!